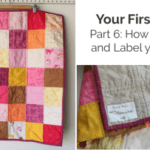 Table Top Quilt Basting - Use the Rolling Method to Save your Back! 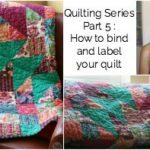 I recently tested out this technique of table top quilt basting where you place your quilt on a table top and use the rolling method to baste it. I loved it! My students did too! 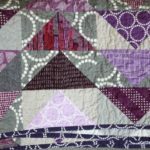 So I thought I would pull this video out of the Sunny Star Quilt course and share it with everyone. I’d love to know your thoughts on this method! 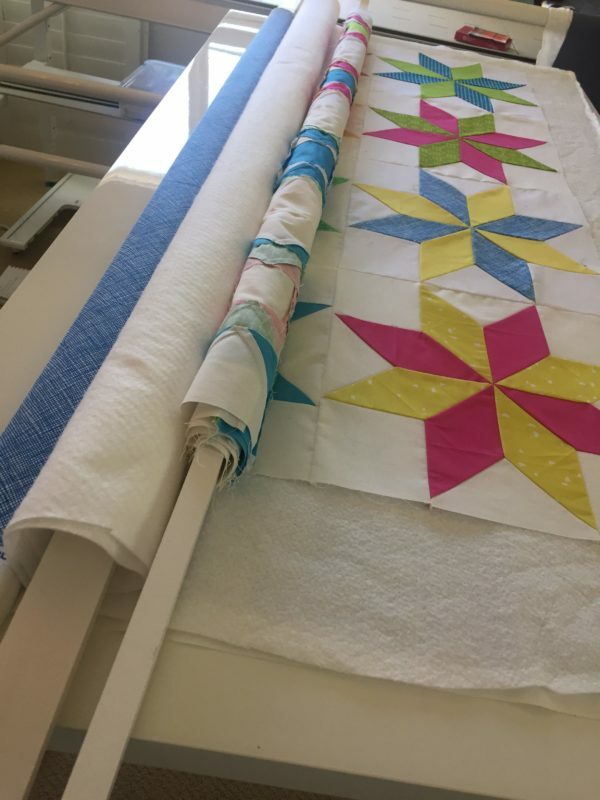 I used 1 x 2 pre painted pieces of wood to do the table top quilt basting that I got at my local hardware store. You can also use pool noodles or thick wood dowels. 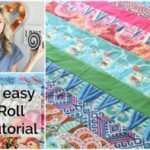 Really anything that you can roll the fabric onto and have it be wide enough and sturdy enough that it can be used again. Here’s the full video tutorial! The boards are a really great idea. Thanks.